Almost 1 million people each year file for divorce in the U.S. What most people do not realize is if they are in agreement with all aspects of the divorce, they can download free divorce forms online for any state. Filling out and filing your own divorce papers will save a considerable amount of money in legal fees, it is easier than you think. Although some companies sell these forms, it makes more sense to get these forms online that you know are legal, and the courts will accept. If you happen to buy out-dated divorce forms from a company, you run the risk of them not being accepted by the court. A no-fault divorce or uncontested divorce essentially means that both husband and wife are in agreement on the terms of the divorce. Another term would be “irreconcilable differences.” No-fault divorce is valid in all 50 states and couples may file their own free divorce forms and related papers without an attorney. Most states have some minimum requirements when filing for divorce. No matter which spouse files for divorce a residency requirement of 6 months for most states. Most states have a compulsory waiting period from the time you file before the divorce is completed and approved. That waiting period can be from 0 to 12 months. 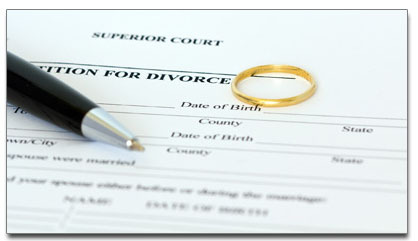 When you file your free divorce forms it is important you file with the right court. The correct court house usually resides in the county that either the husband or the wife has lived for the minimum time period. When you choose the state that you live in you will need to download the documents with or without children. There may be other questions that you will need to answer before filing your divorce papers. Although you and your spouse may agree to all aspects of the no-fault or uncontested divorce, you should give serious consideration to consulting with an attorney for financial planner if you are unsure about any financial or legal issues. In some cases smart tax planning could save you a considerable amount of money. There is a simple search method to find the correct forms for your state. However, for convenience we have listed the links for every state. Some states will let you file your divorce forms online. Divorce papers come with instructions on how to fill out and file them. Many states have courts with self-help services either on the Internet or in person. Some states also offer pro-bono legal help from certain law firms to help you with general questions about no-fault or filing your own divorce papers. A no-fault divorce is the same as an uncontested divorce. This is the easiest way to file for divorce since both parties have come to an agreement there are irreconcilable differences and both husband and wife agree to end the marriage.